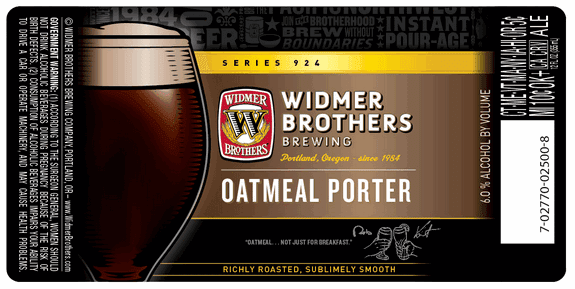 "Our Oatmeal Porter boasts a serious malt backbone. Premium pale and Munich malts, and a custom oatmeal roast create a rich flavor drenched in the velvety mouthfeel of toasted oats and dark chocolate malt. Hints of caramel and toffee provide a touch of sweetness and the perfect compliment to an enticing mocha aroma and smooth finish. Prost to roasts!" - Nice big foamy fingers of light tan and greyish head. Pretty beer indeed. It's a solid jet-brown brew which I can't see through in the goblet. Lace is left about, and a bubbly island of light mocha froth is waiting. - Certainly a nice semi-sweet and earthy aroma to it, and coupled with a fruity and spicy hop aroma. A grainy and oatmeal aroma is present, and awaiting a taste. Interesting esters, cocoa, and dark fruits really. 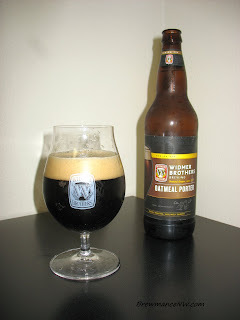 - Nice cocoa malts, bready and light sweet grain and oats for sure. A subtle grassy hop bitterness sits lightly, and finishes with a light zesty tart porter kick. This is really a tasty porter. It's a little more hop forward, and lacks the cocoa chocolate like your standard English porter. Nice earthy hop, clean and light malt, and a tobacco flavor melded with an earthy grass. Overall very well balanced. - The brew is well carbonated and bubbly, but yet super drinkable without the carbonation getting in the way. Odd really. It's a medium bodied brew, with a little cloying attribute, and certainly a bit dry in the finish. The finish is more like a dry Irish stout. - If this beer were called a stout, I wouldn't complain. It's certainly a hop-forward and dry choco-brew. The oats lend some nice bread and feel to it, and yet it isn't really an overly sweet beer with the hop additions. It's astray from the style, and could very well be an Irish stout in my opinion. Either way, it is still a tasty beer. But not a shockingly great experience. 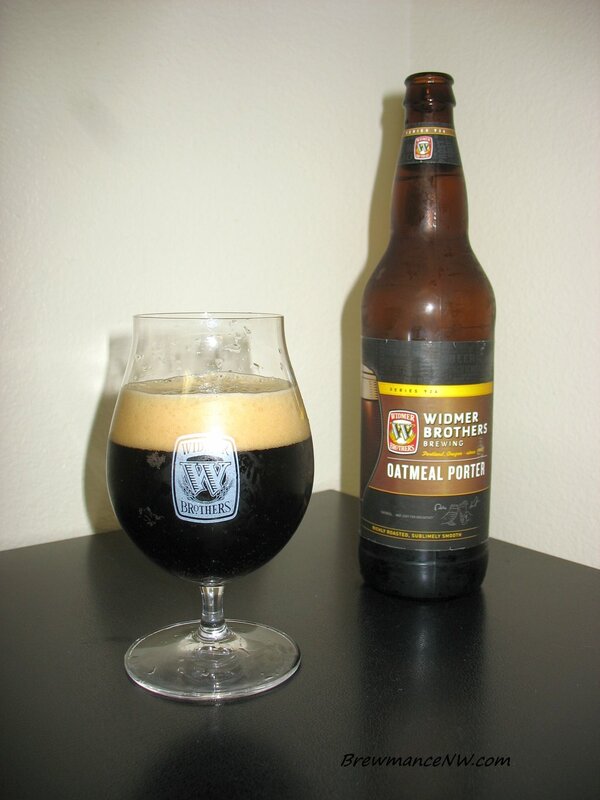 I wasn't expecting that anyway, but a solid porter from Widmer. That I got. Or a solid beer anyway.